[Why Open?] What does “open” mean? I made this animated GIF using a mobile phone and GIMP (GNU Image Manipulation Program. I thought that after having read quite a few things about openness, and helping to put together this course, I’d have a clearer idea of what openness means. But instead, I recognize just how complicated the issues are surrounding openness, and so I have a hard time coming up with a clean, neat definition. I could write a blog post that links to a bunch of resources on openness and see what they have to say, then respond to that, but that would be jumping the gun at this point. We’re starting off giving our own views, so let me try to put together some of my various thoughts about openness, as they stand at the moment (recognizing that things will change by the end of this course experience!). I’ll be focusing on openness in my profession, higher education and research (I teach Philosophy at the University of British Columbia in Vancouver). A friend (Pat Lockley) recently did a survey of academics to find out their views of openness. The results, and a slideshow presentation on how he and a collaborator used these results, can be found in one of Pat’s blog posts. My response is #3 on this spreadsheet (I tried to copy and paste it here, but I don’t think I have permission to do that). 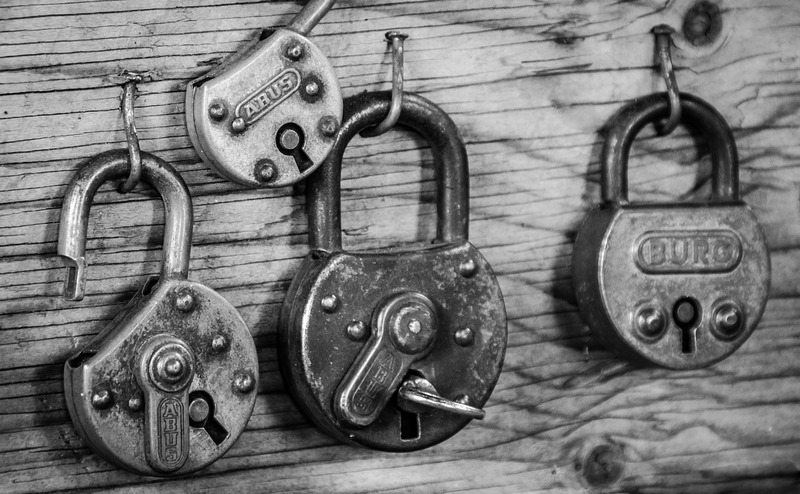 One part of openness is allowing something to be freely viewed, such as open access research and publications–anyone can see these without having to pay for viewing. Putting up one’s teaching materials on a freely-accessible website would count here too. But that’s only one small part of doing academic work openly; to be more “open,” one would make one’s materials and research not only available for free viewing, but also for use by others, and for revision–adding to, subtracting from, mixing with other things, etc. So, for example, I could not just put up a syllabus or lecture notes or teaching video for others to view, but would give these things a license that would allow for reuse, revision, remixing (e.g., a CC-BY license). The same could go for research articles–it would be nice if parts of these, such as tables, diagrams and graphs, could be reproduced in other places, altered and posted elsewhere, etc. But a license allowing such use is helpful, as copyright doesn’t allow it without getting express permission from the author. Another important thing to think about is the format in which you’re posting your materials. For example, PDFs aren’t easily editable by most people, so putting things up in PDF form makes them freely available, but not easily accessible for revision and reuse. I don’t know much about video or audio formats, but it’s possible that some are better than others for this sort of thing as well. All content or other materials available on the Sites, including but not limited to code, images, text, layouts, arrangements, displays, illustrations, audio and video clips, HTML files and other content are the property of Coursera and/or its affiliates or licensors and are protected by copyright, patent and/or other proprietary intellectual property rights under the United States and foreign laws. In consideration for your agreement to the terms and conditions contained here, Coursera grants you a personal, non-exclusive, non-transferable license to access and use the Sites. You may download material from the Sites only for your own personal, non-commercial use. You may not otherwise copy, reproduce, retransmit, distribute, publish, commercially exploit or otherwise transfer any material, nor may you modify or create derivatives works of the material. I think that’s a good thing to pursue, though I’m not yet sure how I’d fit it into a defintion of openness. Perhaps ensuring that education is more open in the sense of being more available/accessible to more people? If we restrict credit for learning to formal institutions, then only those who can get into and pay for those can get credit. What I’ve focused on above are things like free and easily-available access/viewing, licensing so as to allow revision and reuse/reposting, and allowing many people to be able to take courses, as well as get credit for learning in more informal ways. That latter is like access to some degree, so so far: access, reuse, revision. Now I’d also add something about transparency, mostly of process, but perhaps of other things as well. So in education, the process used to reach students’ marks should be transparent, for example. I’m not sure if this fits “transparency,” exactly, but I’m trying to be more open about my processes of research, in the sense of blogging about research as I go along, from my first thoughts about research questions and possible methods, to finalized research projects, to results. I do this because it’s a good way to get feedback from others who are interested in similar things, and, since I’ll be taking notes anyway and they might be useful to others, why not put them up in public? Similarly, I’ve started blogging in the past few years about my teaching (that’s why I started this blog in the first place)–talking about what I’m planning, what has worked, what hasn’t worked, and why. Again, I can get feedback from others, and my experiences can hopefully be useful to others as well. I’m putting all of this sort of stuff under “transparency,” though perhaps there’s a better word for it. So at this point, I’d say openness, at least in education and research, has to do with at least the following: free and easy access (including for reading/viewing/listening to works, as well as access in the sense of being able to attend courses or learn in other ways), ability to revise and reuse works created by others, and transparency (in the sense of letting others in on your process). Now, I’m sure there are things I’ve left out here, and I’m also sure that this view will change. In addition, none of this is to say that these things are always beneficial, or that there are no potential problems associated with being open. We’ll discuss some of those later in the course! I also want to point out that simply putting things online for free viewing and licensing them for revision and reuse doesn’t mean they are actually generally accessible. There are many people who do not have stable, fast internet access, and making materials available to them is not simply a matter of putting them on the internet. That’s an issue I haven’t looked into carefully enough. I too often think I’m being plenty open when I post things online and let others revise and reuse them. But it’s only a subset of people who can do so. 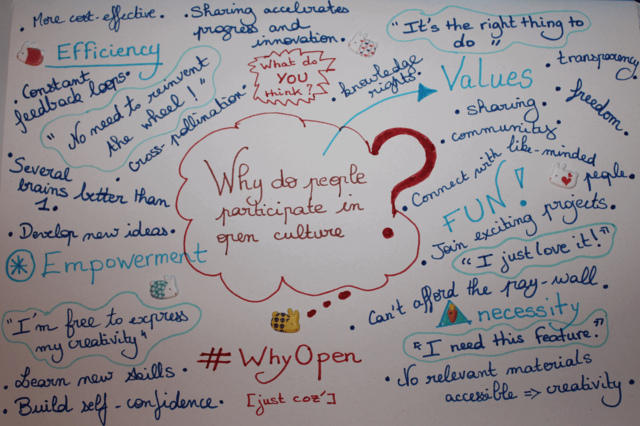 Let me know what you think…have I missed anything that you think is important about openness? Posted in Open Access, open ed, OER, WhyOpen? 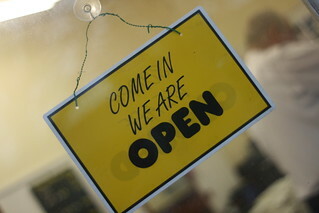 and tagged meaning of open, openness on August 5, 2013 by Christina Hendricks.